The DAM1021 originally came with FPGA firmware 0.8. Since then Soren has released a new version of the firmware, Rev 0.9. 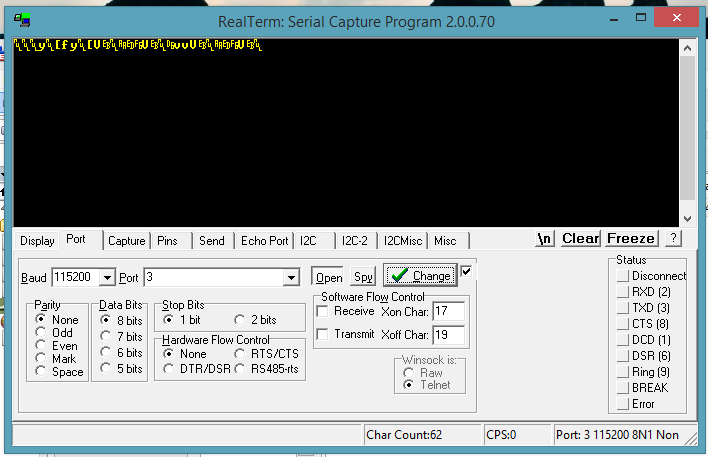 In order to upload it to the DAC one must connect the DAC to a computer using either a “classic” serial port, like the one found at the back of older computers, or a USB to Serial adapter. Then a cable must be made connecting three pins of the DB9 connector to the connector J10 on the DAC board. 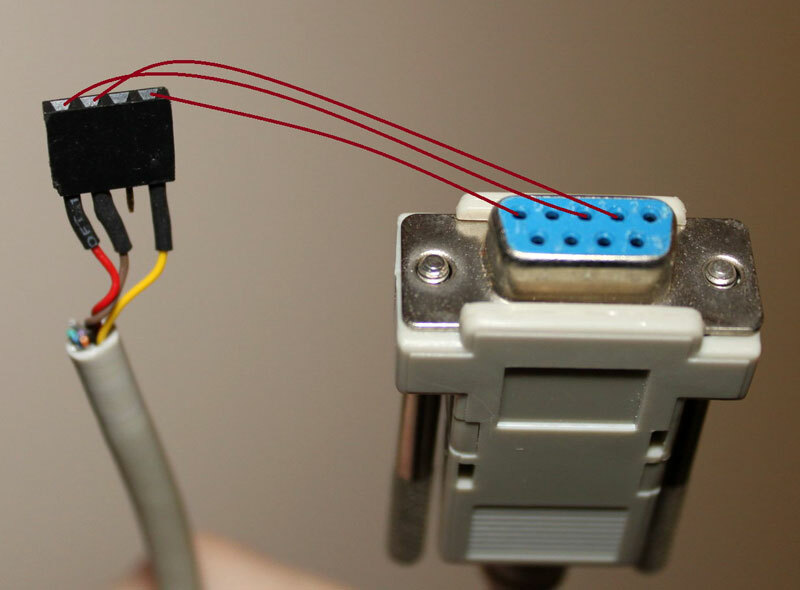 You use your new cable to connect the DAM to your computer’s serial port (or USB-to-serial adapter). You do not power on the DAM DAC just yet. Once you are done with making the physical connection, you need to get your hands on some software that supports the XModem 1K data transfer protocol. This is a pretty old protocol, so your choices in software are pretty limited. One such choice is the “classic” HyperTerminal, but since it is no longer available with Windows I chose the more modern ExtraPUTTY. 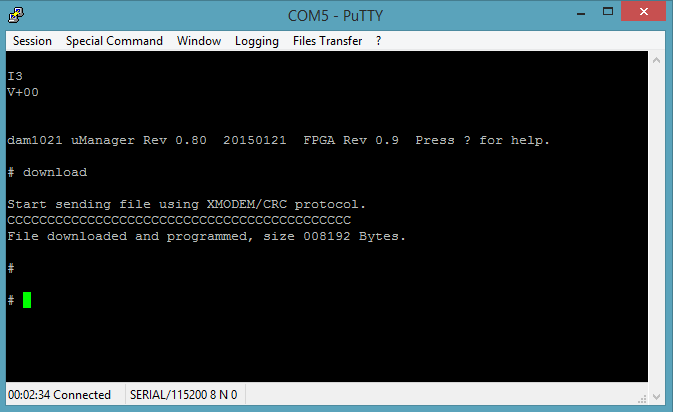 It is a fork of the classic PuTTY telnet/ssl client software that also supports “vintage” transfer protocols such as XModem. This means that everything is fine. You might see an “I0” instead of an “I3”. That is OK. This means that you have 30 seconds to begin sending your file. To do that you click on File Transfer -> Xmodem 1K -> Send. Select your firmware file and off you go! You type “exit” (and Enter) to exit the uManager prompt and you are ready to power cycle the DAC. Once you have done that, you repeat the above steps to get to the uManager prompt and you verify that you have successfully updated the firmware. 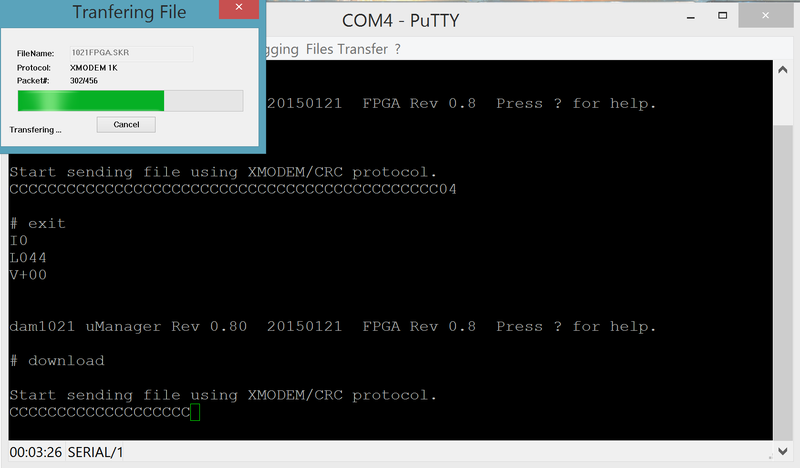 You should now be at FPGA firmware 0.9! 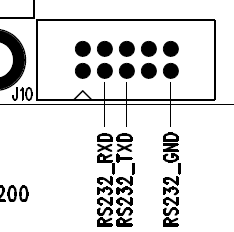 chances are that your USB to serial adapter is not a “true” RS-232 interface, but outputs TTL levels instead. 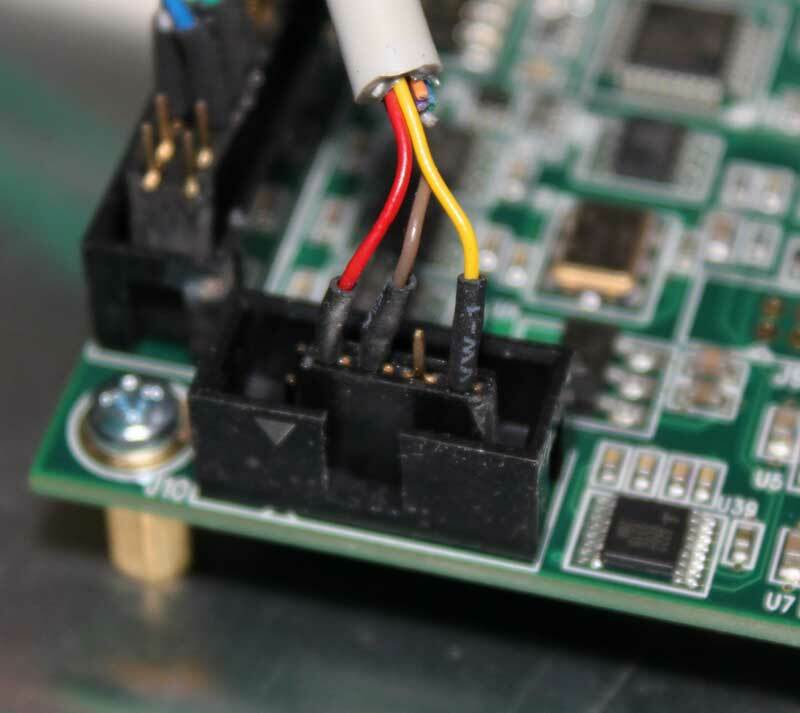 You can confirm that by measuring the voltages between GND and the RX & TX pins. You should be getting zero volts in one case and about -9V in the other. If you are getting 3.3 or 5 volts, your interface will not work with the DAM. You should try to find a proper RS-232 interface. This entry was posted in DIY Audio and tagged DAC, DAM1021, ExtraPUTTY, Firmware, R2R, RS-232, serial, Soekris by Dimdim. Bookmark the permalink.